I haven't posted a Numbered Outfit in AGES! Sozza! Been working interstate AND my parents stayed before that, and it was my birthday before that and ... before that... I can't remember! Thanks to you all for 'hanging in there' til I got my shizz together and finally completed another garment. 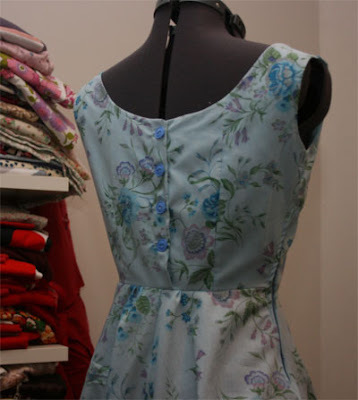 It's a vintage spring frock! I tried to make it a little Mad Men esque, using a 'sub-teens' pattern from 1959, and perhaps if I make the jacket that goes with it, it'll look the part. Once again, everything you see is thrifted from the op shop! 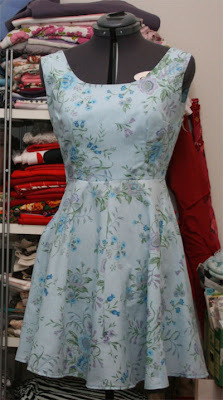 Buttons down the back, and side zipper (can't remember doing one of those before!) and of course the darling fabric. I think it may have been a tablecloth that someone made. My goodness, with just 2 garments of 100 Outfit Challenge, what should I do next? Is it too soon to do another dress a day, but this time for October? I'm HONESTLY considering not drinking for a month because I'm just way too fat (hence me not wearing that pretty dress above) and stonkered-drunk after Melbs. Speaking of Melbs, a HUGE cheerio goes to Rachel, who happened to be dining at Gills Diner the same night as I (last week), and who also happens to be the first person who's said to me 'Are you Veronica Darling? I read your blog'. EVER. And sorry Rachel, I was not only looking a mess, I'd not prepared anything to say in response. 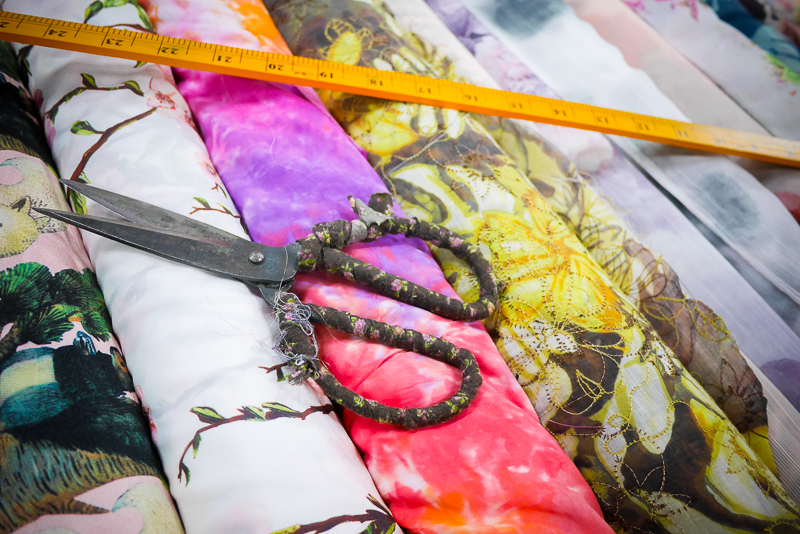 My plan in the future is to say 'THANKS FOR READING' (which I can't remember if I said to you Rachel, since I was a little EMBARRO about someone in real life reading my blog) and 'YAY for SEWING'... So if I meet you again Rachel, or perhaps YOU dear reader, in the future, I honestly will say 'YAY for Sewing'. Oh dear I'm a goose sometimes! Gorgeous dress! And welcome back to Sydders. I used to swish around in a dress like that when I was a teen - way out of my time I should hastily add. I think it belonged to my mother. Creepy old men used to tell me I looked smashing! Did you know your pole knit has made it into a book? Go check out the window display at Better Read than Dead, open the book and you'll see YOUR pole.